Smart Boards in All classrooms, Fully WIFI enabled Campus, Air conditioned Class rooms, State of the art Library and Auditoriums, A/C Deluxe Hostel Rooms with Al-carte food style, Fused classrooms and Laboratory, Excellent Centres of Excellence and Research labs. We want to give a beautiful learning experience to our students. We expect our students to spend more time in SLRC which houses more than 30,000 books and variety of academic magazines. It can at a time accommodate more than 200 students and is equipped with an exclusive E- journal section, Small group Learning, Reprography and a Reference sections. For many of our students, SLRC is a place where they like to spend more time. From the Basic science courses to the department courses, SSE has a well equipped Laboratories. All High end equipments are in place and many of our courses are integrated and are taught in the laboratory. All our lecture halls are equipped with smart boards and wifi. To keep up with the needs of the upcoming technology and trends in the respective field, each department conducts numerous seminars, workshops, Guest lectures, symposiums, competitions, National / Inter National conferences. There are 6 Seminar Halls which exclusively are assigned for these programs go almost busy everyday. Our exclusive Placement and Training department gets involved with the students from year 1 onwards. Students are given communication, aptitude and soft skill training on a regular basis. This department works tirelessly towards placement. Companies like IBM, ZOHO, CapGemini, etc are in our placement panel and this year we have placed 98% of our students in MNCs. With a wide range of housing options from Single bath attached to four-in-one rooms, our hostel is well spread and provides the best possible food. Weekly Hostel committee and Mess committee meetings are conducted to ensure a comfortable stay for students. A place to hang out and to refresh yourself with your friends. 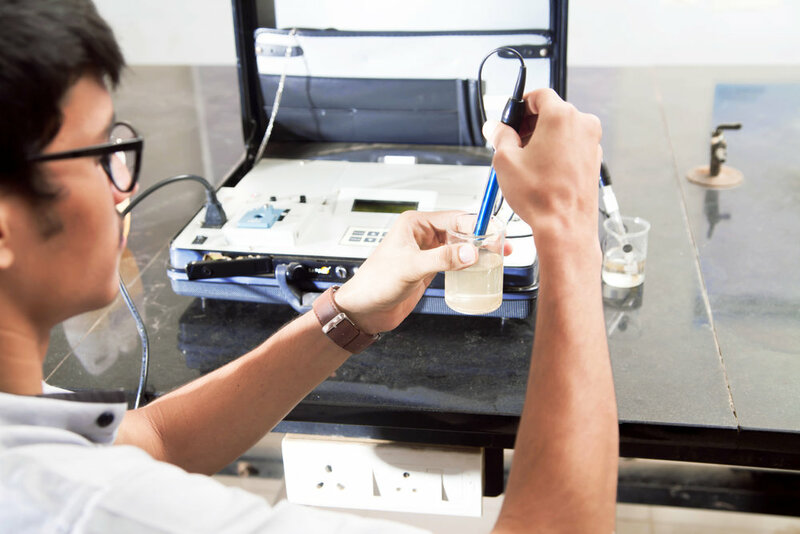 The mission of the laboratory is to envisage students to understand and identify Minerals, Rocks and also introduce them to different Geophysical methods. The students will be exposed various Rock Forming Minerals and Ore minerals, Igneous, Sedimentary, and Metamorphic Rocks. They will also be introduced into preparation and identification of different geological maps. The students will be introduced to different Geophysical methods along with Aerial Photography and Remote Sensing Techniques. 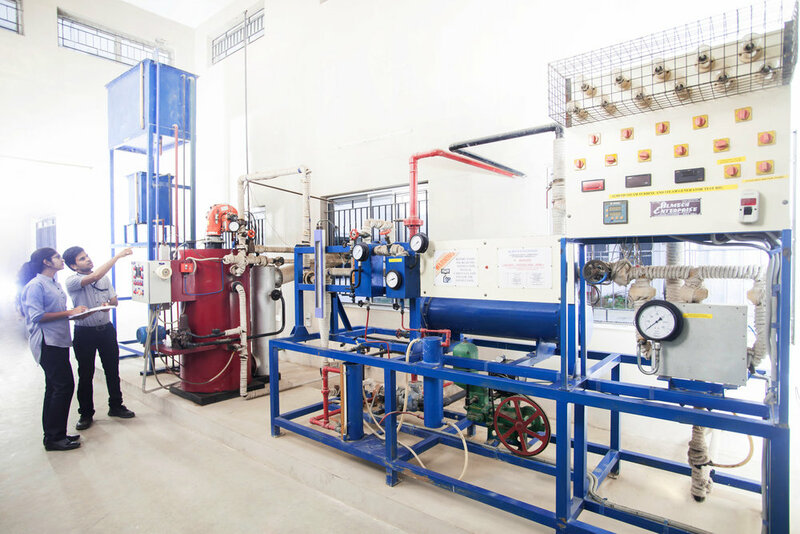 We have established the Vector Mechanics which is one of the three labs in the entire state of Tamilnadu. It is very important for Mechanical, Civil, Automobile, Electrical students to understand the importance of mechanics behind the analysis of load. With a sprawling cricket ground, exclusive Tennis courts, to Indoor games, we encourage our students to actively involved in sports. Our students have participated in various sport events(cricket, basketball, volley ball, throw Ball, Yoga,etc) and have brought laurels to our college. We also provide Sports scholarship for students who have won State / National Level competitions. SSE provides the best IT facilities to our faculty and students in the campus. With more than 1000 computers and 2 servers, WIFI through out the campus, and Smart boards in all classrooms, we provide an etch in our teaching and learning methods. With new MILA based teaching, we bring in technology inside the classroom and impart an inquiry based education to our students.